Each batch of this unique, incredibly smooth urban craft vodka is hand made from three different grains – malted barley, wheat and rye in three different stills, and takes up to ten days to make from a “pristine” water source from Loch Katrine; nearby to the distillery. 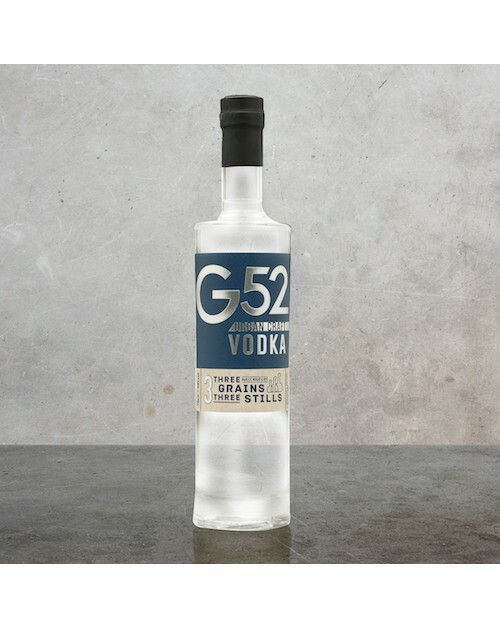 G52 is a vodka that prides itself on authenticity and clear provenance. It’s sensation in cocktails and great over ice with your favourite mixer – we’d recommend Ginger Ale, ice and a slice of lime, or Apple juice and mint.